The Dubai Health Authority-run Dubai Gynaecology and Fertility Centre (DGFC), the first government fertility centre in the UAE, has reached 1000 IVF treatment cycles in 2017, said a top health official. “In 2017, we performed 1,000 IVF cycles for women undergoing infertility treatment. By the end of January, we will be able to know the number of women who become pregnant due to these procedures,” explained Hana Tahwara, director of the Dubai Gynaecology and Fertility Centre. “Overall, we have a high success rate. 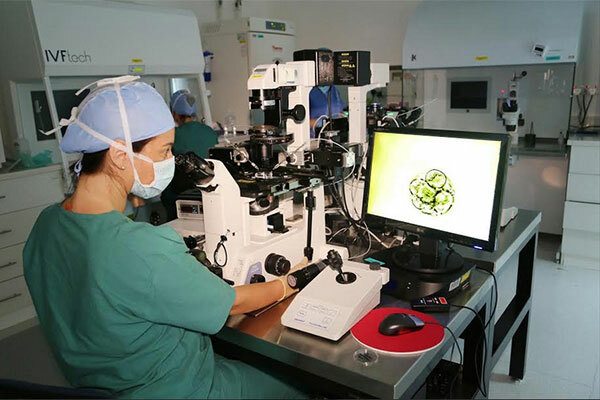 Since the establishment of the Centre, more than 4200 babies have been born because of assisted reproductive technology (ART). Our success rate is 63 per cent and is higher than the international average of 52 per cent. At the DHA, it is our aim to provide specialized treatment to our population and such specialized facilities help ensure we provide high-quality care to those in need,” she added. The DGFC was established in 1991 and in 2009, the Centre relocated to its new premises in Dubai Healthcare City. It is equipped with state-of-the-art technology and the DGFC IVF laboratory is the first one in the whole Gulf region to be accredited in 2016 by an International Accreditation Body (HSO) for Quality and Efficiency of ART Services. The Centre provides the latest techniques in fertility management to couples and has a dedicated team of doctors and embryologists who are abreast with the latest practices in the field. The Centre has treated more than 22,170 couples since its inception in 1991. Fifty two per cent of them were from UAE, 16 per cent from Arab Countries, 6 per cent from GCC, 14 per cent from Asian Countries and the rest 12 per cent came from countries in Europe, Africa, New Zealand, Australia and America.